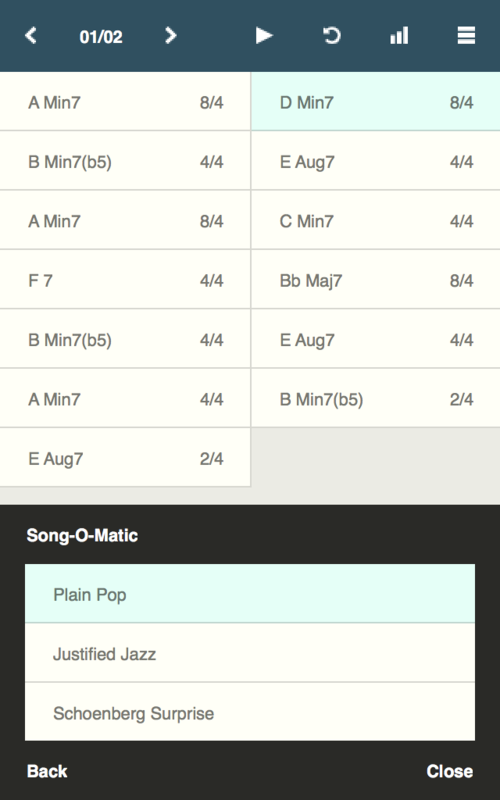 Chordbot's main view consists of a chord list along with navigation and playback controls. Songs are created by adding chords to the list from the chord editor and selecting an instrument arrangement in the mixer. Note: The tablet (iPad) version has a different layout that is more adapted to larger screens. All functions are otherwise the same. 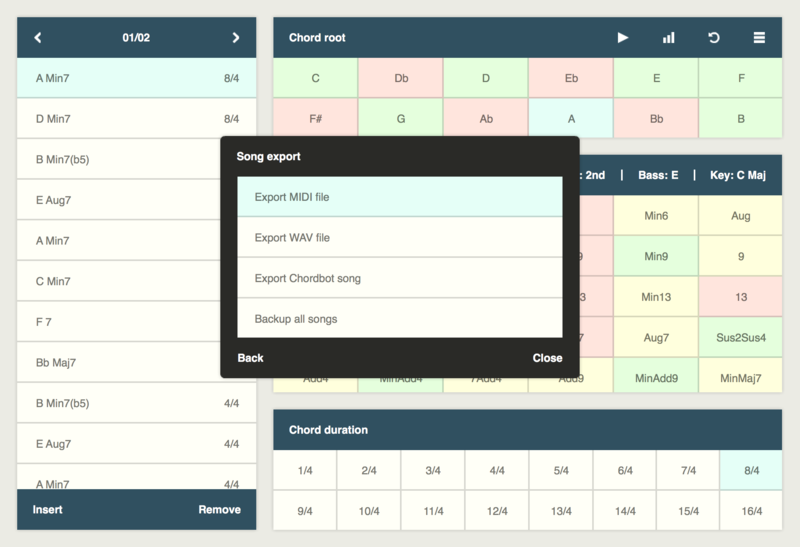 In the chord editor which lets you select the root note, type and duration of the current chord. 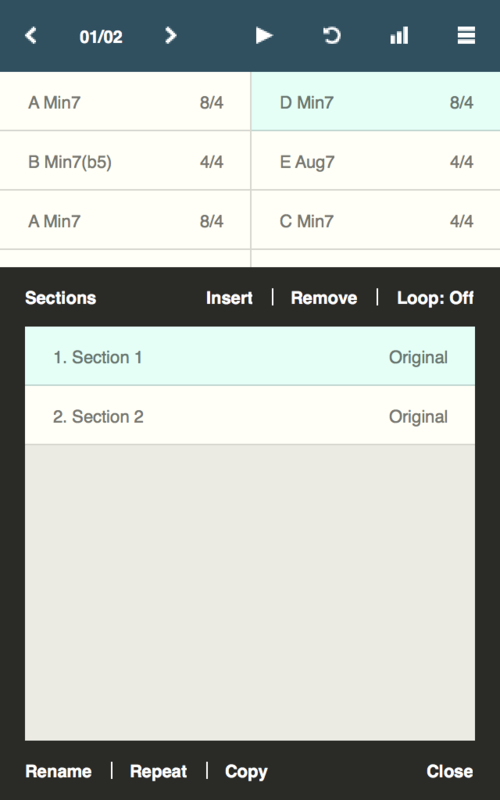 You can also set custom bass notes for slash chords (C/B, etc). 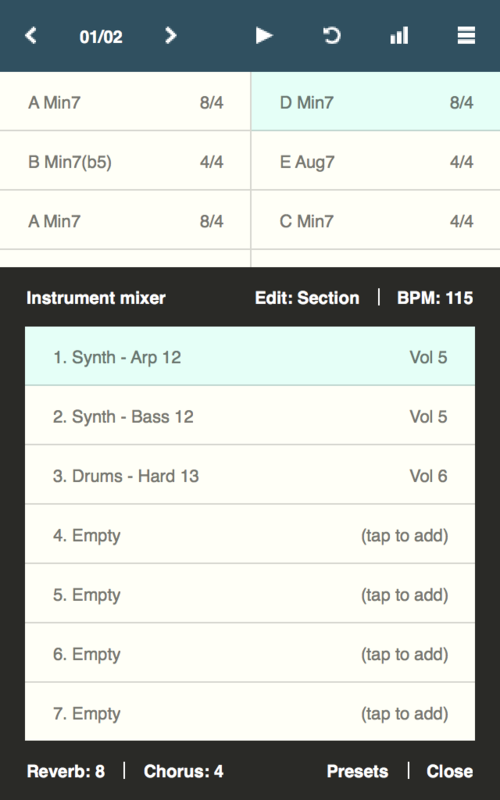 Arrangements are created by combining different comping patterns in the instrument mixer. 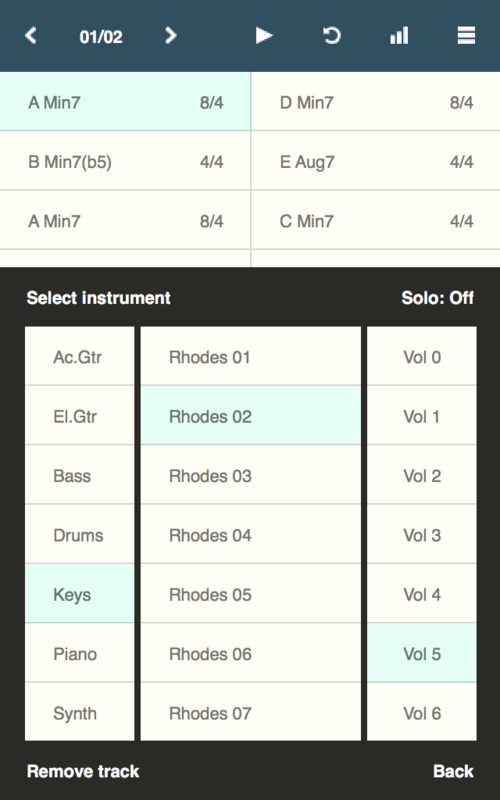 There are also a number of preset combinations available in a variety of musical genres. There are over 350 instrument tracks / comping patterns available, divided between guitar, piano, bass, drums, keyboard and synth. Songs can be structured into repeatable sections. Each section can have its own comping style/arrangement. 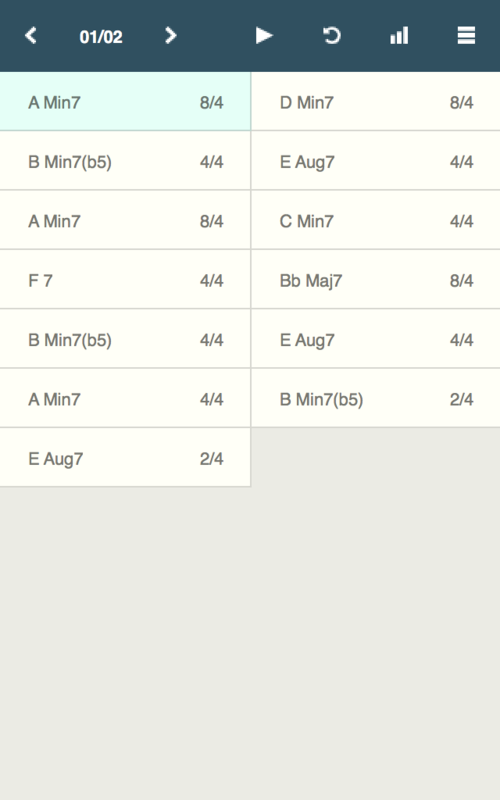 The inversion selector lets you select what octave and inversion the chord will be played in. 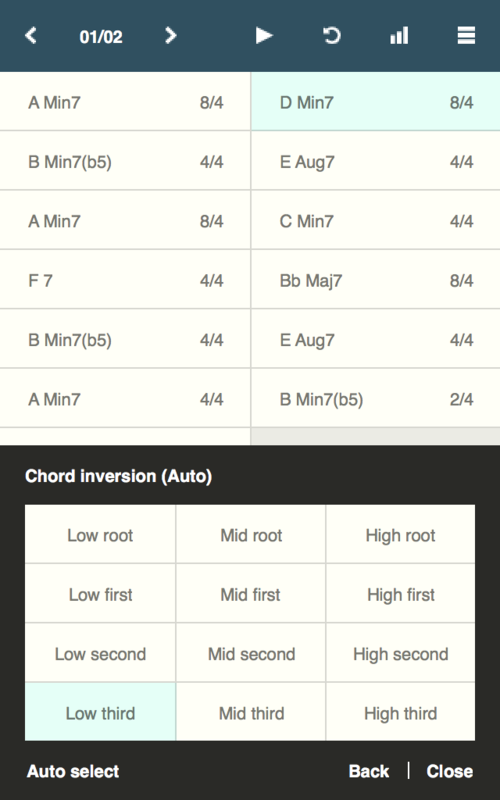 By default Chordbot will automatically select the inversion that gives the smoothest transition. 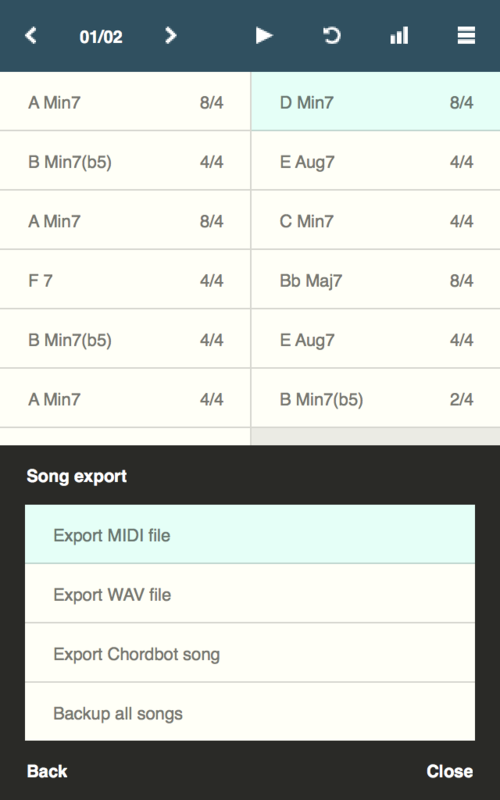 Songs can be exported as MIDI files for further editing in Cubase, Logic or any MIDI-sequencer of choice. Songs can also be exported as WAV files or in a native format that lets you share editable songs with other users. 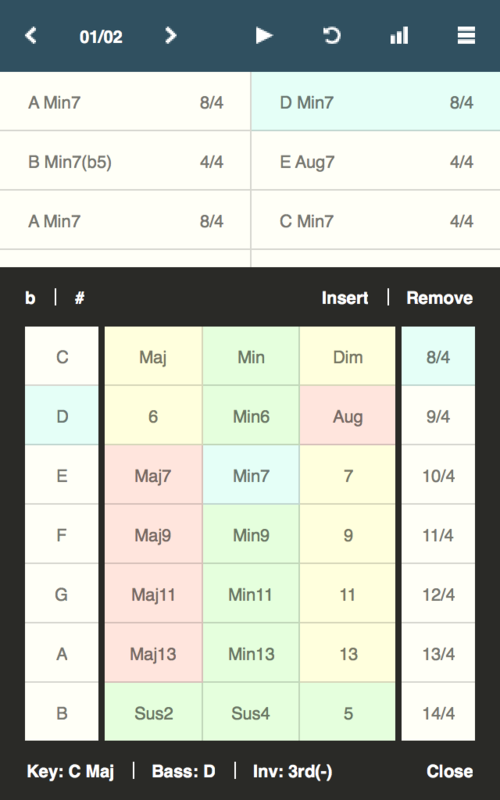 Chordbot's song generator can help you create new chord progressions if you run out of ideas.